Mary Allen is a memoir writer whose themes are spiritual and psychological healing, love, the nature of life and death, and the ways our states of consciousness intersect with our experience of reality. Her writing — and broad range of writing topics — reflect her belief that the personal and the practical, the painful and the numinous, the spiritual and the ordinary are all blended together in our lives and cannot be separated from one another without at least part of the truth being lost. 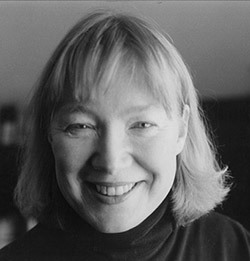 Mary Allen is the author of The Rooms of Heaven, published by Alfred A. Knopf and Vintage Books. She received a National Endowment for the Arts creative writing fellowship for work on another book-length memoir, Awake in the Dream House. She also received a Paul Engle/James Michener Fellowship in 1995. She has received an MFA from the Iowa Writers’ Workshop and has taught in the University of Iowa’s nonfiction writing MFA program, the Iowa Summer Writing Festival, and the Rhetoric Department at the University of Iowa. She currently makes a living as a writing coach and lives in Iowa City, Iowa. Visit CNN Online for a piece by Mary Allen on being the daughter of a mother with maternal mental illness. The Rooms of Heaven by Mary Allen was recently named one of the best nonfiction books in 2014 by Tin House. The editor chose it because although it was “not new” it was “new to [her] in 2014.” She described the book as “compressed and faceted, artfully made and delivered, and deeply affecting.” Visit Tin House’s The Open Bar for more. Click Here to read an award-winning essay, At the Monastery, by Mary Allen. The essay won first prize in Tiferet Magazine’s spiritual writing contest in 2013.